The Google schema, as many of you will know, is a way of delivering your reviews scores into organic search. In this article we will show you its advantages and disadvantages and explain why we think it is being oversold by the independent reviews sites. We will also look at some of the issues of various kinds that web designers are having when they are asked to implement the schema on behalf of their clients. The first point: that the schema is not delivering, is obvious from this screenshot, but there is a far more important point to be made: by adopting an independent reviews solution the business has been deflected away from the one place that all potential customers will be looking: on Google. It is far more important to look good there than on an independent site, irrespective of whether or not the schema delivers. If the schema is not working for you, the solution lies with your web designer. 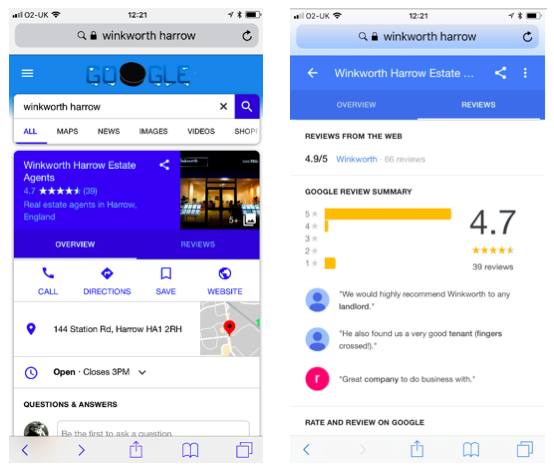 You can be with HelpHound or any of the independent reviews sites but if the schema is not correctly implemented the result will be the same: no rating in organic search. But don't rush to blame your web designer just because you think the schema may not be working - we see examples of correctly implemented schemas not working all the time, and then, just as we are about to call it a day, up they pop (and vice versa). Day-in day-out we see examples where the schema has been correctly implemented but the results still don't show - or they show for one search term but not for another. Then they do show for a period, then they disappear again. You simply cannot rely on the schema - it has to be treated as a bonus when it is working. ...and note the total dominance of Google, from scores and ratings to rich snippets. The schema has delivered 'Reviews from the web', but that, we say again, should be seen as a bonus. 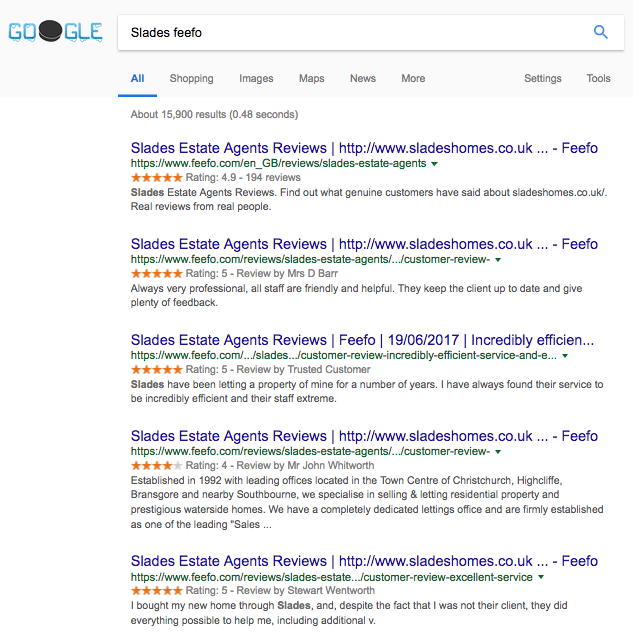 You core strategy must centre on having great reviews on your own website and great reviews on Google. 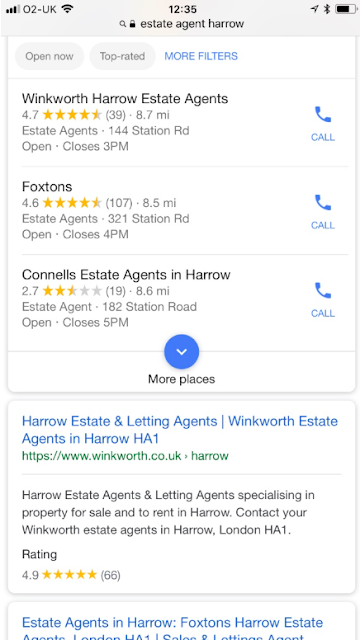 And in a local search? 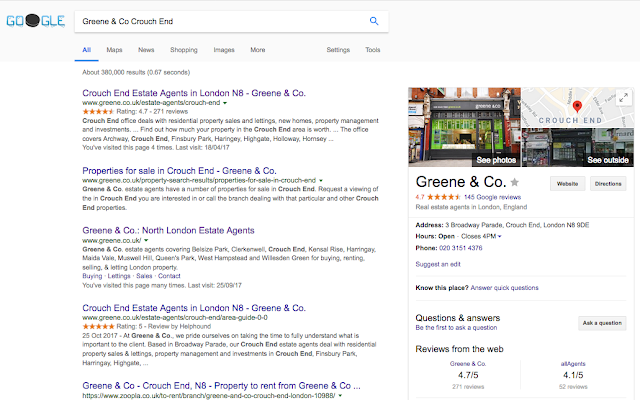 Again - the schema is there, but Google is ever-dominant.